Even stray animals deserve our attention, as they have a very difficult life. Every day they have to fight for food, and at the same time there is a lot of danger for them. 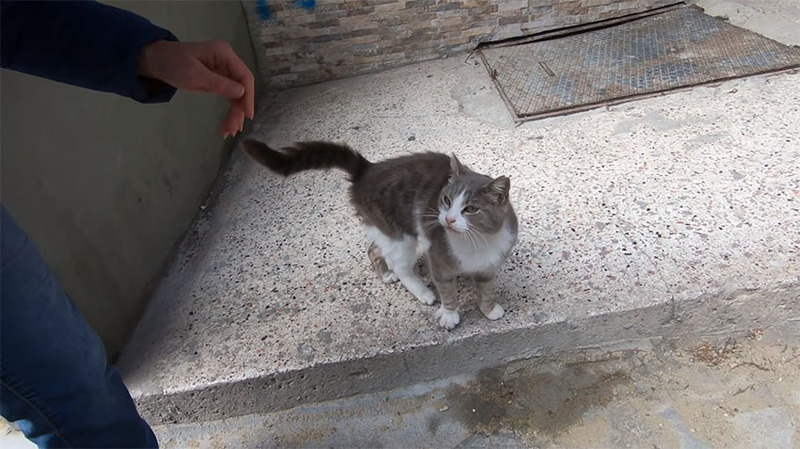 In these days, a special video clip has landed on the web, in which you can see an adorable stray cat. Good people got closer to the cat, and it immediately started to tinker around them begging for love. The whole meeting was recorded on the camera, and the video quickly impressed many animal lovers. The cute kitten was really cordial, and wanted human warmth again and again. Her efforts were rewarded by good people with food, and the cat was very happy about it. Take a look at the video, which in the past few days exceeded 1 million views only on Youtube. Will the meowing of the stray cat impress you too?